Lesson fees are dependent on age, level, day/evening time and length of lesson. Students are offered a reserved lesson space on a specific day and time which will remain their personal lesson time all year through, until such time as 4 week's notice is given to stop lessons. Lessons are available continuously and do not follow school timetables. Lessons should be prepaid before the start of each month's block of lessons, in cash or by Bank Transfer (or by agreement). Our free App will offer you the opportunity to view lessons scheduled, lessons notes and more. To cancel a lesson (planned holiday, etc), a minimum of 24 hours advanced notice is required by text/telephone to enjoy a makeup lesson – no makeup lesson will be offered for a canceled lesson within 24 hours of the booked space out of respect for the teacher’s time. If a lesson has been canceled with more than 24 hours’ notice, a makeup lesson will be offered in a space vacated by another student, by offering a FaceTime or Skype lesson, a group lesson or a makeup will be offered where possible during the summer months subject to availability by arrangement with the teacher. It is important that students attend regularly to ensure satisfactory progress – missed lessons should be kept to a minimum. It is important that respect is given for personal time; communication channels should always be open in the event that lessons need to be canceled. If a lesson cannot be provided by the teacher in the reserved day/time space, a full refund for the lesson paid will be offered or credit forwarded to the next month’s fees. Students who are sick/contagious should stay at home (a call to the studio would be appreciated if the student is unable to attend). Lessons will be put on hold if more than 2 lessons have been missed without notice to the studios to ensure that payment is not lost for subsequent lessons paid for. 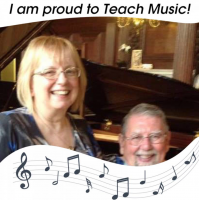 Thank you for choosing Maggie’s Music Studios for your music lessons. We look forward to continuing to help you with your own personal musical journey. If you have any queries please do not hesitate to contact Maggie's Music Studio using the Contact Form Link on this site or by calling the telephone number shown below.